1. A 100% cotton pillow for anyone who has ever imagined what it's like to sleep on a giant, fluffy cloud. This is it. 2. Memory foam pillows that are putting sheep out of business. Why? No one needs to count them anymore. "These pillows, they just...don't require math." —me breaking up with all the sheep I used to count before bed. Price: $39.74 for a set of two. 3. A body pillow intended for any champion sleeper who needs another excuse to nap. "Sorry, I had to nap. Needed to make sure this body pillow was as good as it claimed to be." —me cancelling plans, 17 years after buying this body pillow. Price: $48 / Available in five colors. 4. A classic feather down pillow that will make you ask, "wait, am I at a hotel?" A chocolate on your pillow sadly not provided. Price: $31.99 for a set of two. 5. Hypo-allergenic density pillows designed for a specific type of sleeper in mind. Goodbye, morning neck pains! Medium density is for stomach sleepers, firm density is for back sleepers, and extra firm density is for side sleepers. 6. A triangular wedge cushion for anyone who would like to replace their boring old headboard with colorful, comfy fluff. Price: $53.99+ / Available in five different colors. 7. A latex foam pillow that'll cradle your neck like a little baby all night long. Sadly, it does not sing lullabies. 8. 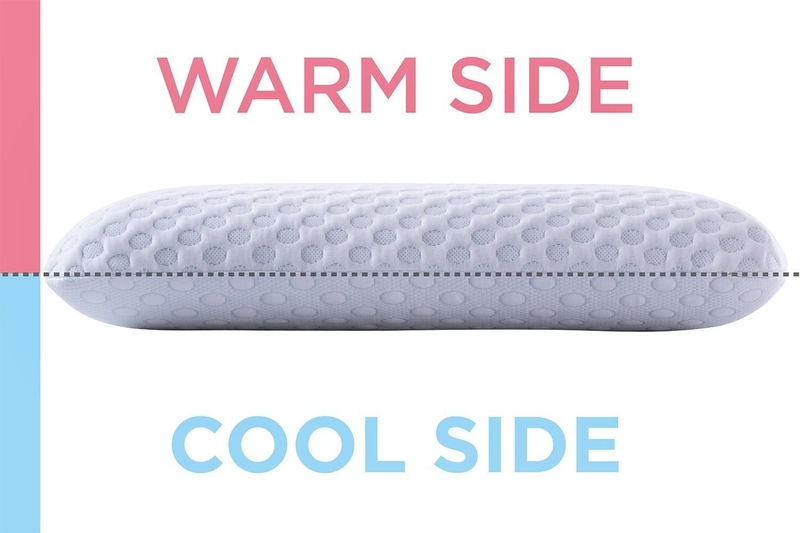 A gel contour pillow for anyone who's constantly flipping over to the cool side. This evenly disperses heat. 9. A twill bedrest that will transform your place of sleep into a comfy reading nook. Price: $33.90 / Available in five colors. 10. A half-moon bolster for back sleepers that is the bees knees. It's the bees knees AND you sleep with it between your knees. Did that pun go over your head? It's okay if it did. Promising review: "I have had both of my hips replaced and have to sleep on my back. 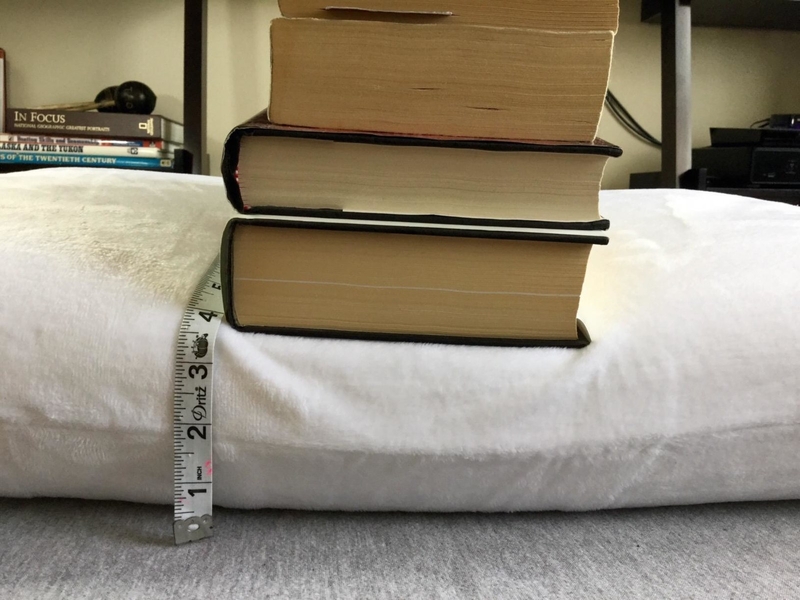 I've tried several pillows to place behind my knees for back support and comfort, and this half moon bolster is the absolute BEST! It is just the right height and density and is very comfortable. I'm sleeping so much better!" —Sandra M.
11. 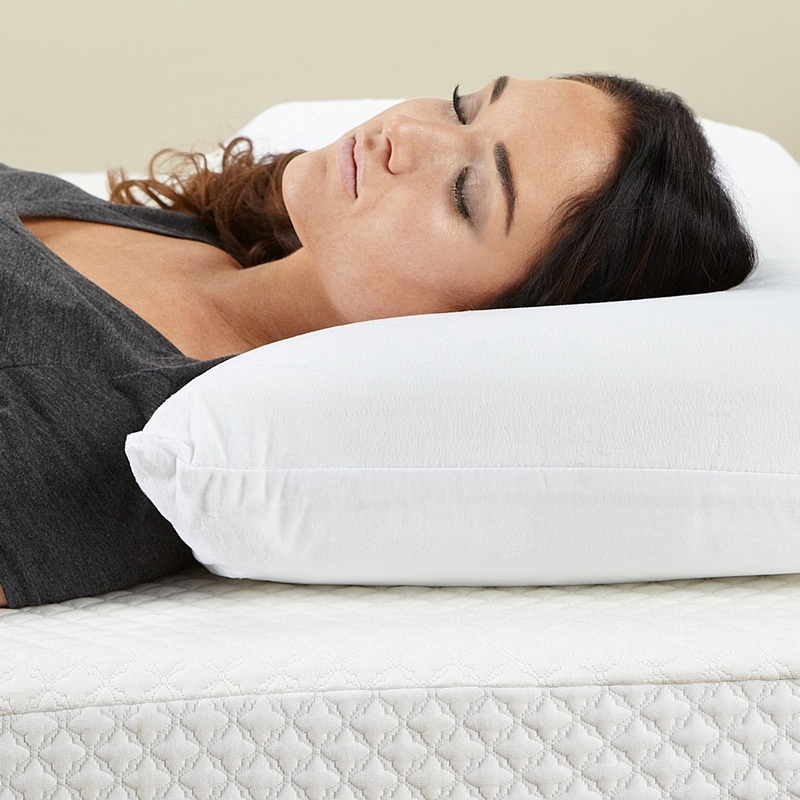 A memory foam pillow with a contour wave design ideal for anyone who suffers from back and shoulder pain. 12. A shaggy bedrest designed to support your back while adding a touch of sophistication to any room. Lime green is the epitome of sophistication, okay? Price: $24.99 / Available in three colors. 13. A memory foam pillow you can adjust by adding and removing foam. Also, it's machine washable! *Okay, it doesn't actually come with a built-in AC. BUT! 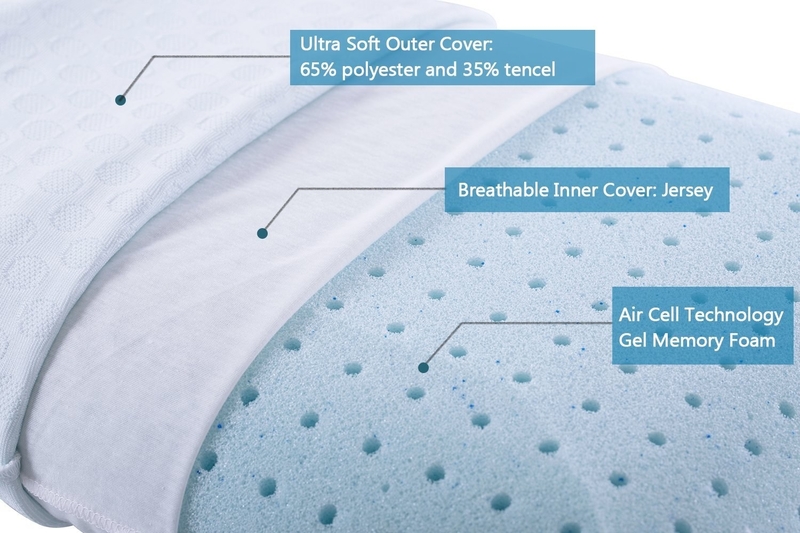 The cooling gel promotes air flow, meaning your pillow will always be cool as a cucumber. 15. A super firm pillow designed to conform to your neck and help you sleep in a proper position. 16. A body pillow that will make you break up with your stuffed animals. This literally screams, "cuddle me!!!" 17. A contour foam pillow ideal for anyone who needs a solid eight hours of Zzzzz's. Beauty sleep is not a joke. 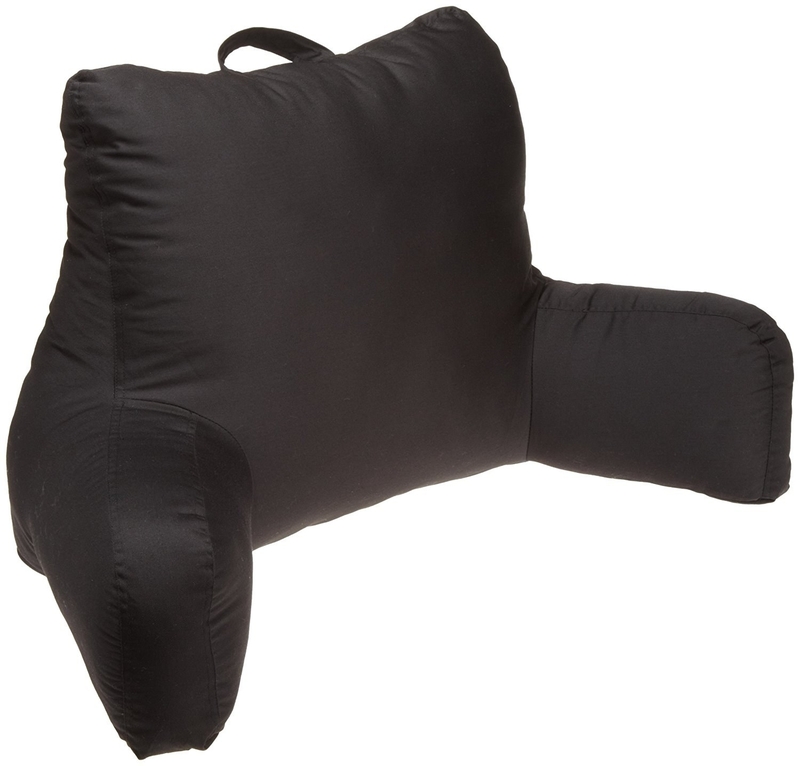 Promising review: "This is the best pillow I've bought for my chronic neck pain. It has definitely helped! When I sleep at my boyfriend's house without this pillow, I can tell the difference; I'm considering buying an extra one for that reason." —Kendra O. 18. And finally, a boyfriend pillow that offers unwavering comfort and emotional support. Price: $34.99 / Available in eight colors. 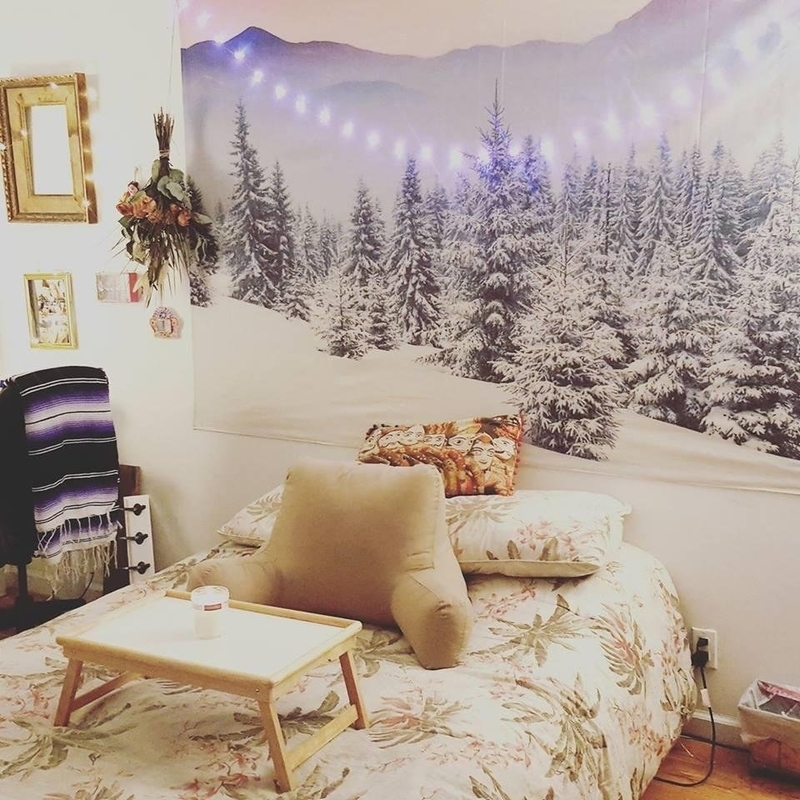 Complete your new bedroom setup with one of the best mattresses you can get on Amazon, one of the best bed frames you can get on Amazon, and some of the best sheets you can get on Amazon.